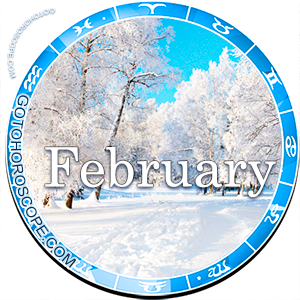 February 2015 Horoscope Pisces, free Monthly Horoscope for February 2015 and Pisces Astrology Forecast for the month ahead. For the zodiac sign of Pisces, February 2015 will not be the worst of times, instead it will be quite harmonic and not without its positives. First, Venus, the planet-exalt of Pisces, will be significantly reinforced due to some general combination with some other objects of the Solar System. This means that throughout the entire February, the Pisces will feel powerful support on behalf of the planet of love. At the same time, Jupiter - traditionally the planet-ruler of the Pisces sign, will lose all of his positivity during the period in question by compensating for his own negative emanations. Mercury, responsible for the expulsion of Pisces, will try to influence the sphere of finances for the representatives of this sign, however, the positive influence of the Moon - the "celestial leader" of the Water trigon will provide a shield for the current period. As a result, the real influence will be left just for Venus and this situation is not without its nuances. In terms of the sphere of entrepreneurship, in February 2015 the Pisces will live over a breakthrough period. Such a statement is concerned with both the career and working relationships. It is very likely that you will receive a new position, which will certainly be much more profitable than the one you are occupying now. If you have your own business, then currently you have a real opportunity to reach a whole new level. Just do not think that your patrons will do everything for you. You will have to work hard, or more precisely, your task right now is to organize everything to its best degree. Do not be shy to increase your area of expertise, just within the limitations of your capabilities. You know and are capable of enough, but perhaps you do not realize that yet. February is a great time to test yourself and also prove to others what you are worth. Just do not get obsessed with the game, especially when everything will be going your way. Do not forget that many things depend not just on you, but on the many people around you, each of which has their own wishes, tasks, and goals. So do not worry if something will go astray due to some external influences. Everything will happen the way it should and in the end you will certainly reach your goals. 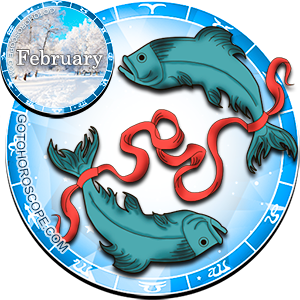 In terms of personal relationships, February 2015 will be quite a bright time for the Pisces. This is mostly concerning the interactions with friends, rather than with your lover or relatives. Towards the dawn of the second ten-day period, you will most likely face an important choice. One of your close friends will suddenly discover deeper feelings, which will turn out to be reciprocated. If you are not alone, then you may face some dilemma and you will have to solve it - here and now. There is no point in prolonging it and you know it. So be attentive and careful, think over everything and do not act hastily. Venus recommends that you carefully compare the pros and cons, however, you make your final decision due to what the heart tells you. In reality, this is the only true option that will not let you make a mistake, since feelings never lie to us - they are always sincere. Another question is how sincere are others around you. This is another aspect of the upcoming period. A sudden rise in empathic ability will lead to you being able to "feel" those close to you and see where they are being dishonest with each other. Whether you should interfere is up to you. 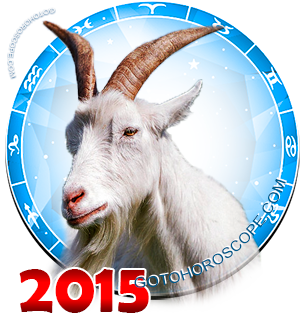 how about my 2015 astrology predictions of pieces?